GALWAY BAND The Amazing Apples will mark the launch of their debut single ‘Head In The Clouds’ with a show at Monroe’s Live this Saturday at 9pm. The band launched their debut EP, 3 or 4 Shoes, last month and saw it go straight to number one on the Irish download charts. The Apples have quickly gained popularity throughout Ireland, shaking off their covers band beginnings to develop their own original sound. 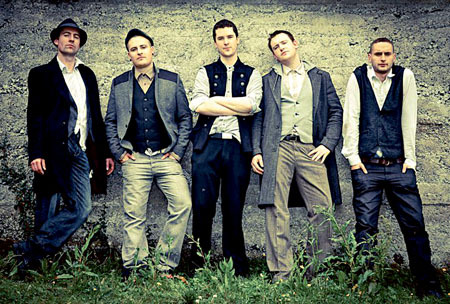 The band play in an Irish/Americana style with an early Waterboys influence. Tickets are €10 and are available on the door or through www.monroes.ie and 091 - 583397.